I got a problem. Actually I like listening to songs till late night but last night I was not doing so.I'm sure I was not listening to the music and I had closed the app. However, this morning Music Controls were showing on lock screen of my iPhone 8. Can anyone tell me the reason and solution? Thanks! This issue is strange for the iPhone users. This case doesn't alway but occasionally happens. When music player shows on the lock screen, you will see an album cover and music controls. It is very annoying for those people especially for who never use Music app on iPhone. Also there is no use to set a personalized wallpaper on lock screen in this case. If you also have the similar issue and want to remove the music player from the lock screen, read the article and follow the tips given below. You will surely be out of trouble when you reach the end of the article. When music app is appearing on the lock screen for no reason, make sure to turn off the notification for the app. 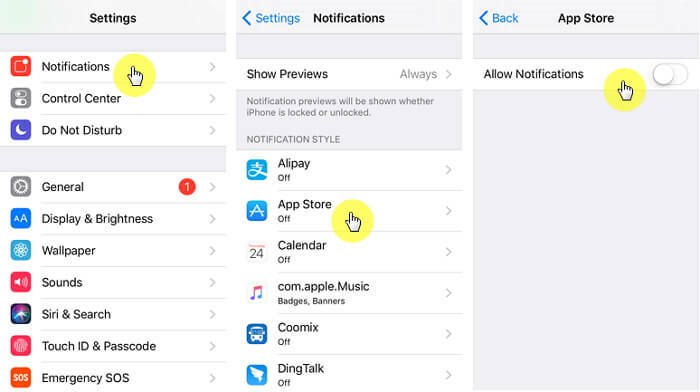 This can be done by going to "Settings" > Notifications" > "Music" and then sliding off the button next to "Allow Notifications" to disable it. Force Restarting the device is the next tip you should try if Music app pops up on lock screen even when not playing. To do this, follow the steps given below according to your corresponding device. iPhone 8 and 8 Plus: Press and release immediately the "Volume up" button. Press and quickly release the Volume Down" button now. 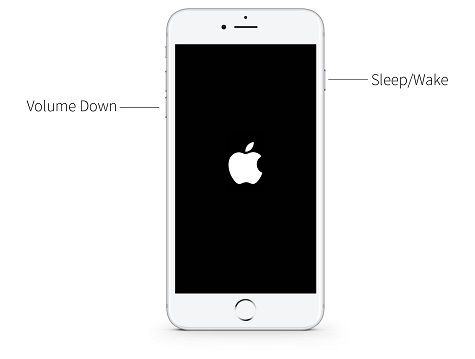 Subsequently, keep holding the "Sleep/Wake" button until you see the Apple logo. iPhone 7 and 7 Plus: Keep hold of "Sleep/Wake" and "Volume Down" button together until you see the Apple logo appearing on the screen. 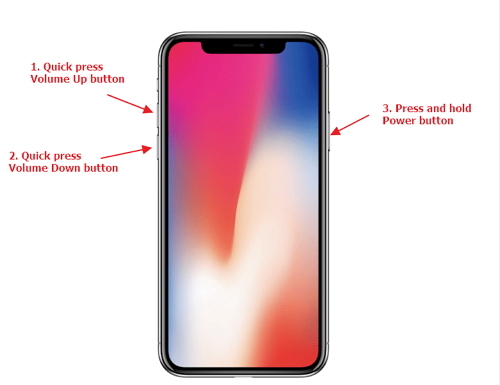 Previous iPhone models: Press and hold "Sleep/Wake" and "Home" button simultaneously until the Apple logo comes on the screen. 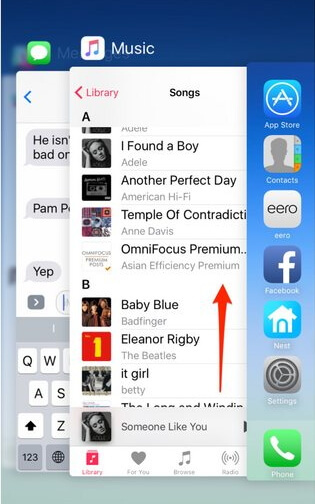 If you still get Music app appearing on iPhone locked screen, try switching off widget from Settings. To do this, open "Settings" in the device and tap on "Touch ID & Passcode". 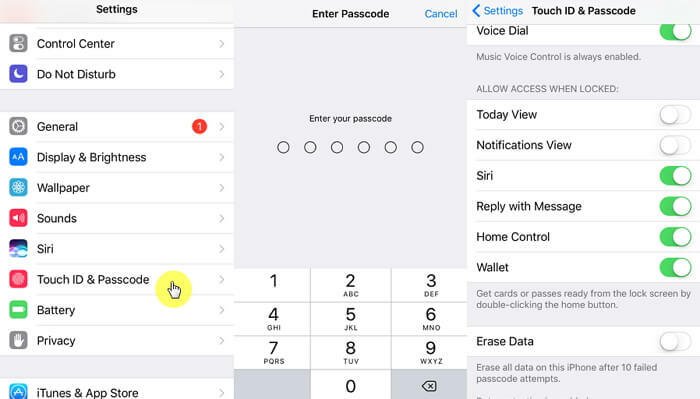 Enter the passcode and toggle off "Today View" and "Recent Notification" options in the menu. Force quitting can also be a good option to try when your music showing as playing on the lock screen. To force quit, just press your "Home" button twice. It will bring the recently used apps on the screen. 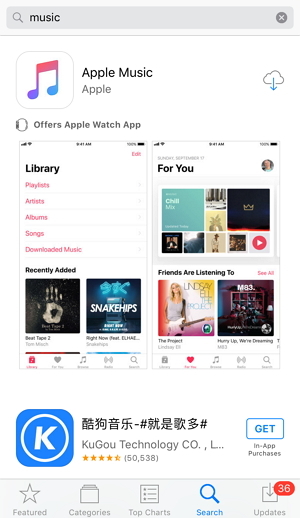 Now, swipe left or right to search the music app. 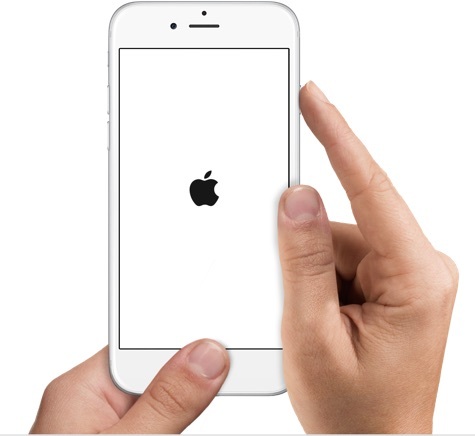 When found, swipe it up to force quit. Check if it has removed the music player or not. Another way to handle the situation where music app pops up on the lock screen is reinstalling the app. For this just tap for a couple of seconds on the music app on the home screen. You will notice a little shaking of the app and a cross icon will appear at the corner of the app. Tap on the cross and then tap "Delete" to remove the app. Now, go to App store and search for the Music app. After downloading it, just reinstall it and see if the problem has gone. 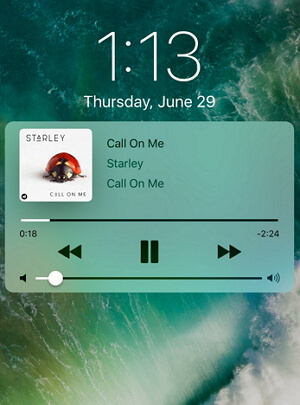 If you have been not successful in removing the music player from the lock screen after giving so much efforts, probably the problem is lying with iOS. A third-party tool is always recommended in such case and iMyFone D-Back is the one which fits best for solving such problem. It's considered one of the best data recovery tools which also hold the capability to ensure fixing a number of iOS issues with the help of its special feature called "Fix iOS System". Being a very compatible tool, it has been successful in gaining popularity among many media sites too such as Macworld and Makeuseof. 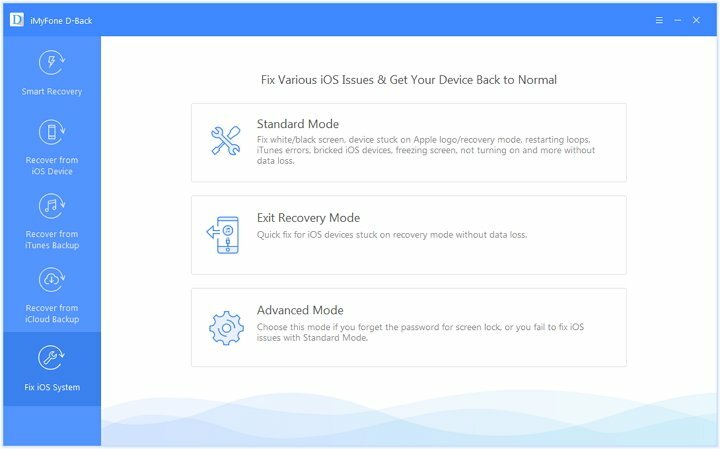 Its "Fix iOS System" feature is capable of fixing iOS issues such as reboot loops, unresponsive screen, freezing issue, stuck on Apple logo and recovery mode and so on. 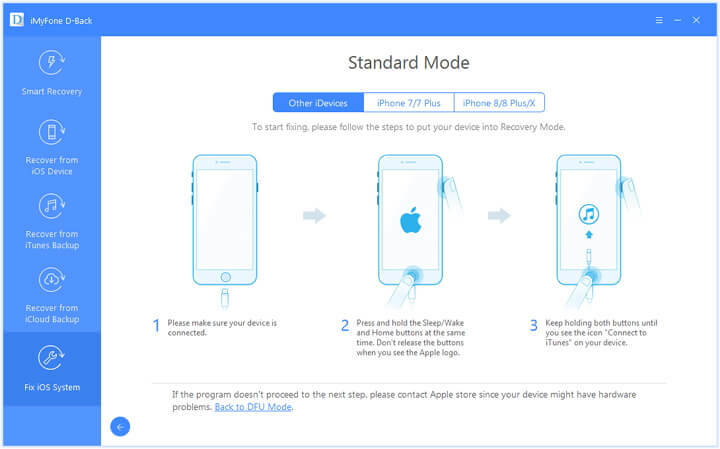 It can fix iOS problems without data loss using "Standard Mode". It is able to recover 20+ types of data such as WhatsApp, WeChat, Contacts, Notes, Photos, Messages, etc. This tool supports almost all iOS device including iPhone 8/iPhone X, and all iOS versions such as iOS 11.2/11.3/11.4/12. Step 1 Launch the tool on your PC after downloading and installing it. Select "Fix iOS System" followed by connecting your device to PC. Choose "Standard Mode" from the three modes on the screen and proceed to the next step. 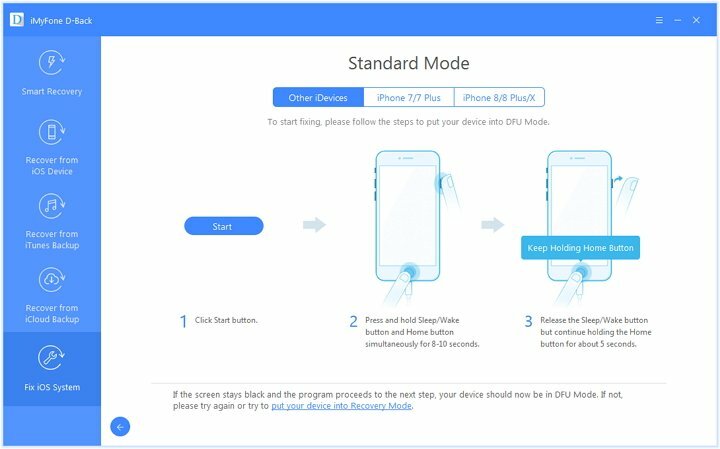 Step 2 Follow the instructions and steps to put your device into DFU mode or Recovery mode. 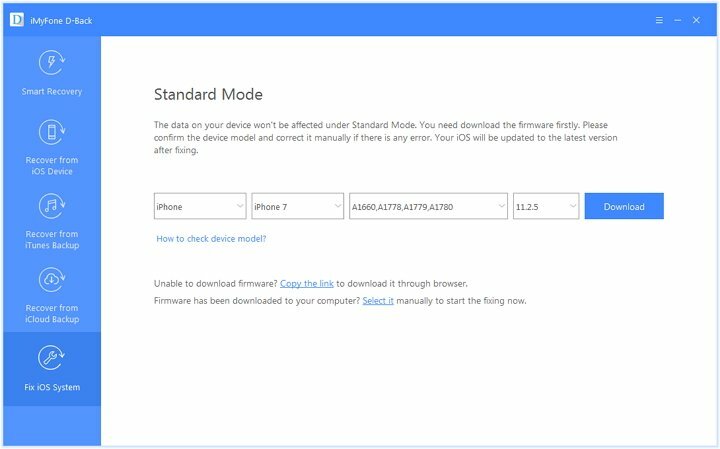 Step 3 Click on "Download" to get the corresponding firmware for your device. The software has the skill to detect the device and give the latest firmware automatically. Last of all, hit on "Start to Fix" and the problem will be fixed by the program. You just need wait for a while and then you iPhone will restart normally.